Singapore's biggest multi-sport event. This friendly, three-race series welcomes first timers and experienced athletes to the sport of triathlon. Join a fun and festive environment to swim and run at the Aquathlon, roll and run at the Duathlon or combine all three at the Triathlon! The third and final event of the series is the Triathlon, a Swim-Bike-Run race on 28 April 2019. 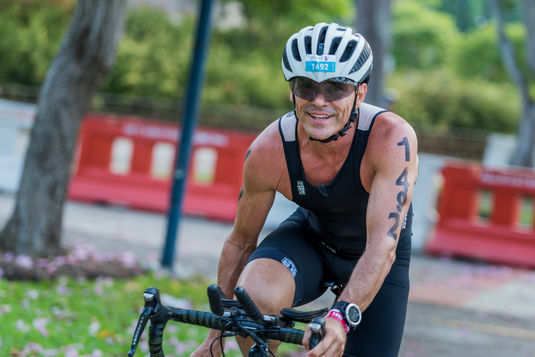 Become a Triathlete! It's time to put together the swim, the bike and the run at the final event of the series. The friendly and festive park atmosphere will carry you to the finish for that fantastic sense of achievement. An easy way to save! Register in one easy step for the 3 events with the 3-in-1 bundle. Save time by collecting your 3 race kits all at once, and SAVE up to 25% on your race entry.